Any reference to a statutory provision shall be construed as a reference to that provision as amended, re-enacted or extended at the relevant time. These Terms and Conditions shall apply to all contracts for the sale of Goods by the Seller to the Buyer to the exclusion of all other terms and conditions including any terms or conditions that the buyer may purport to apply under any purchase order, confirmation of an order or similar document. All orders for Goods shall be deemed to be an offer by the Buyer to purchase Goods pursuant to these Terms and Conditions and shall only be accepted by means of the Seller’s standard acknowledgement form. The Price shall be that in the Seller’s current List Price, or such other price as the parties may agree in writing. Payment of the Price and any other applicable costs shall be made payable upon order of Goods. Major credit/debit cards as listed: MasterCard, Visa, Switch, Solo, and Visa Delta. The quantity and description of the Goods shall be as set out in the Buyer’s Purchase Order. The Goods shall be required only to conform to the specification in the Buyer’s Purchase Order. Photographs are for illustrative purposes only and may not exactly match the product itself. Any lessons/classes pre-purchased cannot be transferred to another person or persons. Any Pre-purchased lessons must be used within one calendar year from the date of purchase/order. There are no refunds on pre-purchased lessons. Unless otherwise agreed, delivery of the Goods shall take place at the address specified in the Buyer’s Order and the Buyer shall be deemed to have accepted the Goods upon their delivery. The Buyer shall make all arrangements necessary to take delivery of the Goods whenever they are tendered for delivery. The Delivery Date specified by the Seller is an estimate only. Time for delivery shall not be of the essence of the Contract. We aim to deliver your goods within 7 working days. If the Seller is unable to deliver the Goods for reasons beyond its control, then the Seller shall be entitled to place the Goods in storage until such times as delivery may be affected and the Buyer shall be liable for any expense associated with such storage. The Buyer shall be entitled to replacement Goods where the Goods have been damaged during transportation. The Buyer must notify the Seller of the damage within 24 hours of delivery. Risk shall pass on the delivery of the Goods to the Buyer. The Seller warrants that it has good title to the Goods. You agree that from time to time we may email you with offers or discount coupons. You may unsubscribe at any time from these emails by either clicking the link in the offer email, we use MailChimp and will never spam or sell your email address. Or you can request removal by sending an email to [email protected] with your name and email address asking to be removed from further emails. This formula is intended for use in those with a fundamentally strong constitution, as its blood moving action may be too powerful for those with deficient conditions, or who are ill or weak.This formulas should not be used by those with hypermenorrhea (excessive menstrual flow). This formula should not be used by pregnant or nursing women. The defect is due to the faulty design, materials or workmanship of the Seller. Where the Goods have been manufactured and supplied to the Seller by a third party, any warranty granted to the Seller in respect of the Goods shall be passed on to the Buyer. Subject to the Seller’s liability under Clause 6 and subject to Clause 8, the Seller shall be under no liability whatever to the Buyer for any loss (including loss of profit), costs, damages, charges or expenses incurred by the Buyer or for any loss or damage to or caused by the Goods. Nothing contained in these Terms and Conditions shall be construed so as to limit or exclude the liability of the Seller for breach of the warranties contained in Clause 6 or for breach of warranty as to title and quiet possession implied by the Sale of Goods Act 1979 where such Act applies to the Contract. Neither party shall be liable for any delay or failure to perform any of its obligations if the delay or failure results from events or circumstances outside its reasonable control, including but not limited to acts of God, strikes, lockouts, accidents, war, fire, breakdown of plant or machinery or shortage or unavailability of raw materials from a natural source of supply, and the party shall be entitled to a reasonable extension of its obligations. We only deliver to mainland UK at present. The above address is where all Pre-purchased lessons will take place. Once you have placed your order and has been confirmed we will either call or email you to arrange a delivery date but we cannot give a specific time. We can deliver within 7 working days (subject to stock availability) providing that the payment has been made by Credit/Debit card or any day of your choice (MON – SUN) from either payment method. If the stock is unavailable then delivery time will take longer, in this case, we will call or email you as soon as possible. If the stock is available we can then make arrangements with you for your goods to be delivered within 7 working days. IF YOU DON’T READ THIS SECTION FULLY OUR SERVICES TO YOU WILL BE AFFECTED. WE CAN NEVER GUARANTEE ANY DELIVERY DAY OR TIME AS PROBLEMS CAN OCCUR. Please note: As with any delivery service various unknown problems can occur. So if we do not make the estimated delivery for any reason mainly unforeseen problems which are out of our hands we cannot be held responsible for compensation. Under the Distance Selling Regulations, we have 30 days in which to fulfil our contract. If an unknown problem does occur with your estimated delivery day. We will contact you and inform you of the situation. Then we will give you an alternative estimated delivery day. THESE DELIVERY TERMS ARE IN PLACE TO PROTECT WING CHUN KUNG FU LTD IN THE UNLIKELY EVENT OF ANY DELIVERY PROBLEMS. YOU MUST AGREE TO OUR TERMS AND CONDITIONS AND DELIVERY TERMS AND CONDITIONS AT CHECKOUT STAGE. IF YOU DO NOT AGREE TO OUR TERMS AND CONDITIONS AND DELIVERY TERMS AND CONDITIONS WE WILL NOT ACCEPT YOUR ORDER. The moment you receive your goods could you please examine them for damages or defects. If you find anything wrong with the goods contact us immediately on 07821 126 685 or email at [email protected] and we will exchange them free of charge. Before we can offer any refund or exchange we must receive a copy of your original invoice/receipt that you received. You can send this by post or email. If you do not have your invoice/receipt your right for a replacement or refund will be affected. Your replacement good will be sent our within 7 days. If you are not satisfied with the goods for any reason, you can return them within 7 days of receipt of the goods. NOTE: We must receive the goods in the same condition as sent or your right for a refund will be affected. If the goods are returned in PERFECT condition complete with packaging you will then receive a refund within 30 days. If you cancel your order more than 24 hours after placing your order there will be a charge of 10% to cover handling and administration. In most cases, we will collect the goods from you for a small charge of around 15% of your order, but you may be asked to return the goods yourself back to our premises. If this is the case it is in the buyer’s best interest to take out insurance. If the goods are returned with any damage the right for refund will be affected. If you need your product exchanging because you placed your order incorrectly there will be a standard charge of 15% of your order to rectify the problem. Any refund given will be credited to the card or PayPal account that is was taken from. If you cancel your order more than 24 hours after placing your order there will be a charge of 10% to cover handling and administration. We have the right to cancel and change the dates and times of any competitions that we run. Any competition giveaway has no monetary value and may not be transferred to another person without permissions of the instructor of Wing Chun Halesowen. These Terms and Conditions of Hire apply to all hiring’s of the Hall. If the Hirer is in any doubt as to the meaning of the following, Sifu Alan Bagley should be consulted. “Premises” shall from hereafter include the hall the outside grounds and Car Park area. “Hirer” shall mean an individual or where the Hirer is an organisation, the authorised representative. These conditions prohibit the hire of the hall to anyone under the age of 18 years. An older person making a booking on behalf of someone younger than 18 years old must be aware of the responsibilities for which they will be liable. Full payment of the Deposit. Full payment of the Hire Fee. The Hirer shall, during the period of the hiring, be responsible for: supervision of the premises, the care of the fabric and the contents; safety from damage however slight or change of any sort and the behaviour of all persons using the premises; including proper supervision of car parking arrangements so as to avoid obstruction of the highway. As directed Alan Bagley, the Hirer shall pay for all damage (including accidental damage) to the premises or to the fixtures, fittings or contents and for any loss of contents. Halesowen Wing Chun will hold a complete inventory which can be inspected at any time by the Hirer, of all known damage; this inventory will also include the Contents, fixtures and fittings of the Hall. The Hirer shall not use the premises for any purpose other than that described in the Agreement to Hire form as signed by the Hirer, And shall not sub-let or use the premises or allow the premises to be used for any unlawful purpose or in any unlawful way nor do anything or bring onto the premises anything which may endanger the same or render invalid any insurance policies in respect thereof nor allow the consumption of alcohol thereon without written permission. (b) All claims in respect of damage or loss of property or injury to persons arising as a result of the use of the premises (including the storage of equipment) by the Hirer. The Hirer shall take out adequate insurance to ensure the Hirer and members of the Hirer’s organisation and invitees against all claims arising as a result of the hire and on demand shall produce the policy and current receipt or other evidence of cover, to Alan Bagley. Failure to produce such policy and evidence of cover will render the hiring void and enable Alan Bagley to re-hire the premises to another hirer. Halesowen Wing Chun accepts no responsibility for any stored equipment or other property brought onto or left at the premises, and all liability for loss or damage is hereby excluded. All equipment and other property (other than stored equipment) must be removed at the end of each hiring or fees will be charged for each day or part of a day at the hire fee per hiring until the same is removed. (a) in respect of stored equipment, failure by the Hirer either to pay any storage charges due, remove the same within 1 day after the agreed storage period has ended. (b) in respect of any other property brought onto the premises for the purposes of the hiring, failure by the Hirer to remove the same within 1 day after the hiring; dispose of any such items for sale or otherwise on such terms and conditions as it thinks fit, and charge the Hirer any costs incurred in storing and selling or otherwise disposing of the same. No alterations or additions may be made to the premises nor may any fixtures be installed or placards, decorations or other articles be attached in any way to any part of the premises without the prior written approval of Alan Bagley. Any alteration, fixture or fitting or attachment so approved shall at the discretion Alan Bagley remain on the premises at the end of the hiring and become the property of the Halesowen Wing Chun or be removed by the Hirer who must make good to the satisfaction of Alan Bagley any damage caused to the premises by such removal. The Hirer must report all accidents involving injury to the public to Alan Bagley as soon as possible. Certain types of accident or injury must be reported on a special form to the local authority. Alan Bagley will give assistance in completing this form. This is in accordance with the Reporting of Injuries, Diseases and Dangerous Occurrences Regulations 1995, (RIDDOR). Any failure of equipment belonging to the Village Hall must also be reported as soon as possible. Any party, company or individual that hires the hall takes responsibility for the safety of persons on the premises including if required any public liability insurance. Wing Chun Kung Fu Ltd. Will not be held responsible for loss, damage or injury. The Hall does not have an alcohol Licence. Therefore, the Hirer shall be responsible for obtaining such Licences as may be needed whether for the sale or supply of intoxicating liquor, in respect of consumption on the premises. The Hirer shall if preparing, serving or selling Food, observe all relevant Food Health and Hygiene Legislation and Regulations. The Hirer shall ensure that any electrical appliances brought by them to the premises and used there shall be safe and in good working order, and used in a safe manner. We reserve the right to examine the required Certification issued by a competent Person or Company in respect to the testing of any such electrical appliances or equipment. The Hirer shall comply with all conditions and regulations made in respect of the premises by the Fire Authority, Local Authority, and the Local Magistrate’s Court or otherwise, particularly in connection with any event which includes public dancing or music or other similar public entertainment. The introduction of a new fire risk by the Hirer either as a source of ignition e.g. Lighting of Candles or as new flammable materials e.g. solvents, paper hangings must be accompanied by a risk assessment carried out by the Hirer. The Hirer shall ensure that any activities for children under eight years of age comply with the provisions of The Children Act of 1989 and that only fit and proper persons have access to the children. (The Hirer will be expected to have themselves aware of the liabilities stated in the above legislation). The Hirer shall, and shall ensure that the Hirer’s invitees comply with the prohibition of smoking in public places provisions of the Health Act 2006 and regulations made thereunder. Any person who breaches this provision shall be asked to leave the premises. (The Hirer will be expected to have themselves aware of the liabilities stated in the above legislation). The Hirer shall ensure that no animals (including birds) except guide dogs are brought into the premises, other than for a special event agreed to by Alan Bagley. No animals whatsoever are to enter the Kitchen at any time. The Hirer shall, if selling goods on the premises, comply with Fair Trading Laws and any Code of Practice used in connection with such sales. In particular, the Hirer shall ensure that the total prices of all goods and services are prominently displayed, as shall the organiser’s name and address and any discounts offered are based only on Manufacturers’ Recommended Retail Prices. (The Hirer will be expected to have themselves aware of the liabilities stated in the above legislation). The Hirer shall ensure that the minimum level of noise is made on arrival, during the Hire period and departure, particularly late at night and early in the morning. It is a condition of our premises Licence that the doors are kept closed to limit neighbour noise. Any Halesowen Wing Chun Member has the right to enter the Hall at any time other than during events falling under the provisions of the Children Act 1989. 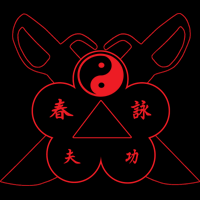 The Hirer shall be responsible for leaving the premises and surrounding area in a clean and tidy condition, with the premises being properly locked and secured unless directed otherwise and any contents temporarily removed from their usual positions properly replaced, otherwise the Halesowen Wing Chun shall be at liberty to make an additional charge. The Agreement to Hire constitutes permission only to use the premises and confers no tenancy or other rights of occupation on the Hirer.